Thank you for your decision and committment to serve the Lord to reach out the children with the Good News of Jesus Christ during this summer. You will be called a Summer missionary, as you reach out the children through 5-Day Clubs. 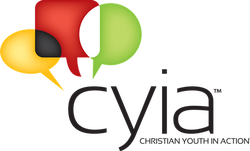 To be well equipped with that mission, CEF has a training program, which is called Christian Youth In Action (CYIA) training school. To understand this wonderful opportunity in detail, you can download the file of the Application Packet Binder 2019. If you are going to appliy for this training school, you have some forms to be filled out such as 1) CYIA application form; 2) three References forms; 3) Model Release form; 4) Parental Waiver form; and 5) Personal Testimony. We need these forms from you and your references by snail mail or email. After you download these files, please 1) fill out the forms, 2) save it as yourname.pdf , 3) and then email to wrcefnova@gmail.com by attaching these forms. Also your References need to email it to us (wrcefnova@gmail.com) directly. If you want to get the hard copy of this application packet, please email to us with your name, age, and address at wrcefnova@gmail.com. We need to get your application back by May 4, 2019, but it will be much helpful for us to order the materials in advance for the pre-training & training school, if you can submit your application sooner rather than later. 1) Pre-Training: May 18, 2019 (10:00 a.m. - 2:30 p.m.). Registration + Fellowship starts at 9:30 a.m.
We are so excited about all that you want to serve the Lord this summer as a Summer Missionary. It will be a joy to watch that God will use you in the lives of the boys and girls. If you are under 15 years old, you are required to take Step 1, Section A, B, and C.
C. Click and Watch the 9-minute "Protecting Today's Child" or listen to the audio message at 1-866-878- 4182 (toll-free). 1) Your salvation testimony. A brief testimony will suffice. previous employer, and two personal references. No relatives please. If you have prepared the information requested in Step 1, section D, it will take you approximately 15 minutes to complete the online application. Note: The system will time out after approximately 10 minutes of no activity, and you must complete the form within 40 minutes. ** Online Parental consent for screening is required for applicants under the age of 18. Please complete steps 1-2 as soon as possible. You will receive email confirmation once your screening has been submitted. For Questions or concerns regarding screening, contact CEF of Northern Virginia at wrcefnova@gmail.com or 703-641-9201.